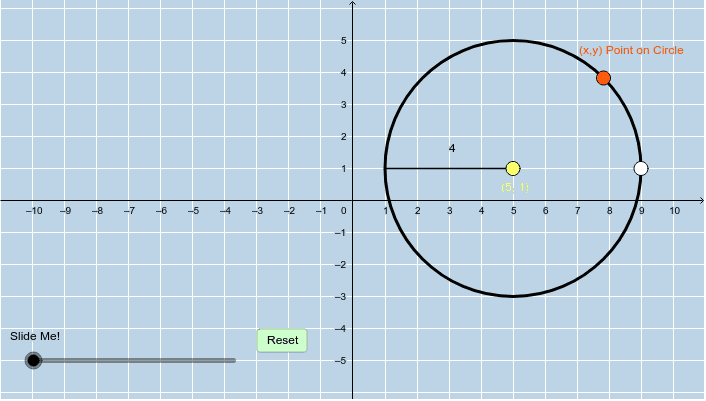 This applet accompanies the Standard Form of the Equation of a Circle (Part 2) packet you received at the beginning of class today. Complete this activity and then answer the questions that appear below the applet. Note: To drag with circle without changing its radius, simply drag the circle itself (and not the points on the circle).